For long-lasting restorations for a missing tooth or teeth, our team of dental professionals at SEDA Dental is pleased to perform implant dentistry with Straumann dental implants for our patients in South Florida. Implant dentistry uses surgically placed metal posts in your jawbone to simulate the natural tooth root. The post(s) may be connected to a crown, bridge, or denture for a restoration that looks beautiful and can be treated just like your natural teeth. If you have a missing tooth or teeth, make an appointment to learn more about implant dentistry at SEDA Dental. You may be interested in dental implants if you are tired of loose restorations or the hassle of removable dentures. Talk to a member of our dental team about your concerns and figure out if dental implants are a good option for you. Dental implants can restore a missing tooth or teeth with an implant-supported crown, bridge, or denture. You may want to consider a dental implant if you currently have a regular dental restoration but are unhappy with the appearance, feel, or if there is special cleaning needed. Implants can be cleaned, like your natural teeth, with daily flossing and brushing. During your consultation, we will evaluate the health of your jawbone and gums in order to determine if a dental implant is the right option. In some cases, a bone or gum graft surgery may be needed prior to implant surgery to ensure you have a strong enough foundation to support the post. You may not be a candidate for dental implants if you use tobacco products, are pregnant, or are currently being treated for an oral condition, like gum disease. To prepare for your dental implants, you may have teeth extracted, gum grafts, or bone grafts. Once you are ready for the dental implant, the needed areas will be given local anesthesia to numb your mouth. Sedation may be added to help you feel more comfortable throughout the procedure. Our experienced dentist will make an incision in your gum and put the titanium post in the jawbone. The incision in the gums will be closed with part of the post above the gums. This will be repeated if several implants are required. While the dental implant integrates into the bone and gum over the next few months, a temporary cover will be used to protect the post. As soon as your implant is strong enough, your restoration (crown, bridge, or denture) can be connected to your implant and adjusted for a good fit. You may experience some short-term inflammation in your mouth and lower face, plus discomfort, bruising, and minor bleeding after your implant procedure. We will let you know what is to be expected and what should be reported to our office. We may also prescribe pain relievers and antibiotics. Once your dental implants are integrated and your custom restoration is connected, you should follow a good oral care routine at home that includes brushing, flossing, and mouthwash. You should continue to schedule an annual exam and bi-annual professional cleanings at SEDA Dental so we can assess your oral health. We will let you know if your restorations or implants should be adjusted or replaced. Based on your dental insurance company and specific coverage, some of the expenses of your dental implant and custom restoration might be paid for. We will talk to your insurance to understand your benefits and determine your costs. During your consultation, we can estimate your expenses and tell you about payment methods accepted by our office, along with information on low-interest medical financing. Dental implants may be a great option if you want a replacement for missing teeth that is simple to maintain and can last for a long time. Our experienced team of dental professionals will walk you through the process, starting with surgery to place the implants and your options on the final restorations. 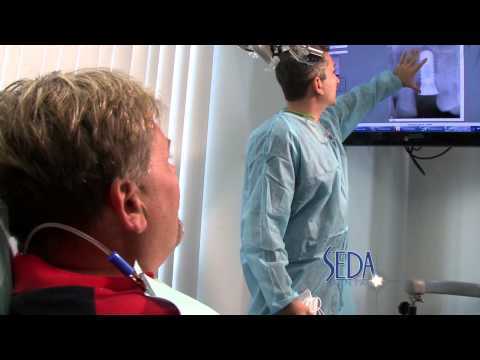 To receive more information on dental implants, schedule an appointment for a consultation at SEDA Dental.